• Extensive experience as a Reporter/Journalist including reporting assignments abroad. • Experience of reporting on live/breaking news. • Knowledge of the key editorial and audience priorities for the range of global and UK output. • Sound knowledge of Tanzania including political, economic and security developments in the region. • A thorough knowledge of the BBC’s Editorial Guidelines. • A highly developed news and current affairs judgement. 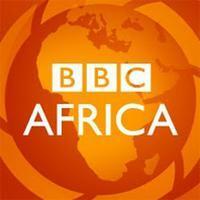 • A thorough understanding of the output of BBC News in English and Kiswahili. • A thorough understanding of the range of platforms and formats. • A high level of editorial awareness and judgement. • Diversity, reaching new audiences, multi skilling, health and safety and the ability to put these policies into practice. • An excellent level of spoken and written and broadcast English and Kiswahili. • Ability to originate programme ideas. • Ability to build relationships/rapport with a variety of key people e.g. guests, contributors, camera operators and influence them where necessary. • Ability to negotiate/exercise diplomacy with people where necessary. • Possession of the specific skills, in writing, recording, editing, interviewing, reporting and presenting required for this job; this involves providing radio and television material in a variety of forms, working live to air and producing different types of digital content in text, video and stills. • Ability to work alone and in teams. • Recent and relevant experience as a multi-media broadcast journalist. • A full command and up to date knowledge of Kiswahili (first or equivalent language). • A good knowledge of English including complete comprehension of written and spoken English and the ability to communicate effectively. • Wide and up to date familiarity with East Africa and an in-depth understanding of the areas’ Sporting Activities and Interests, history, politics, social issues and culture as well as the changing needs of the audience. An extensive knowledge of the media situation in the target area and the way it is developing. • A good knowledge of, and interest in British and international current affairs, particularly insofar as they affect the target areas. • An excellent broadcasting voice and strong presentation skills with the ability to perform at the microphone with flair. Good interviewing skills. • Ability to write, adapt and translate with accuracy, clarity and style appropriate to differing audiences and forms of media. • Good keyboard/computer skills and the ability to acquire technical skills and to operate technical equipment. A demonstrable interest in social media and an understanding of the potential of new technology are essential.